Analog Vibrations. That points into the right direction. 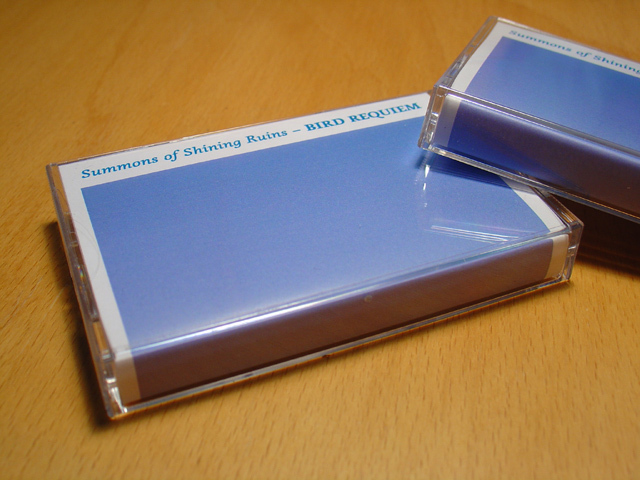 Summons of Shining Ruins is a project of Shinobu Nemoto, who works with electric guitar, tape delay, old rhythm machines, stompboxes and 4-track-recorders. 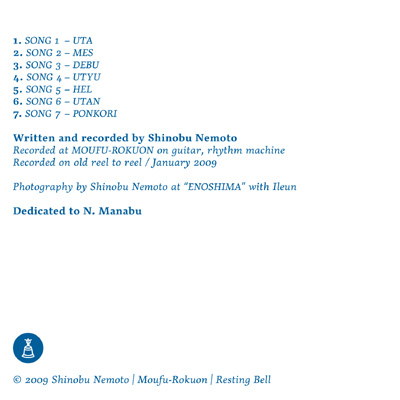 No computer or software is used to record this work. And you can hear that in every tone. 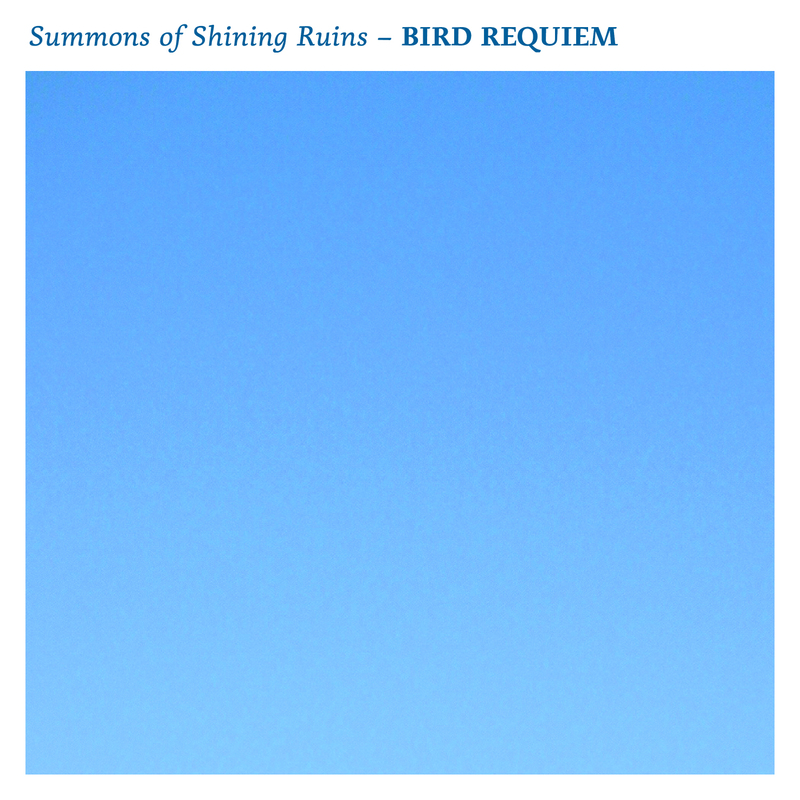 “BIRD REQUIEM“ sounds at the first listen extremly raw. You can not define what you hear in the first moment. But everything sounds a bit haunting, hidden under a layer of dust. 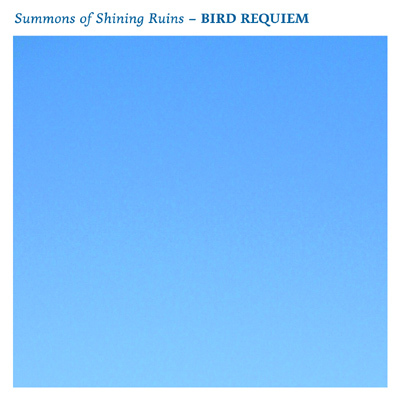 But the longer you listen, the more you can feel how warm everything sounds and how spirited this work is. You can point out subtle melodies, coming to you through this thick curtain build by delay over delay and tone over tone. You can hear the rhythm machine, ticking and rumbling from the past. And at some points you can imaging voices or shapes, floating by. To follow Shinobu’s advice: Listen to it loud and feel the analog vibration. 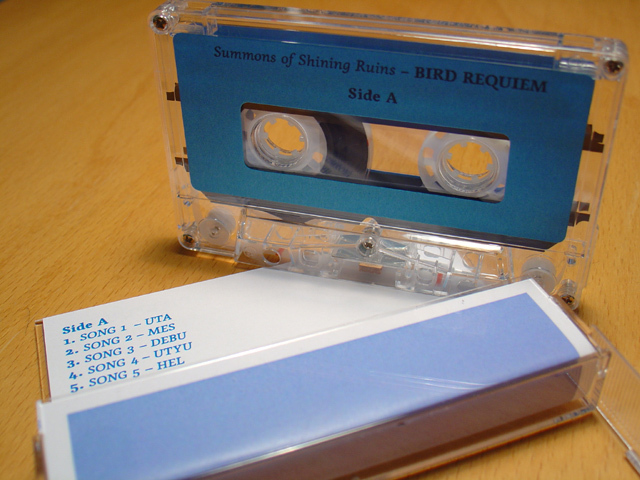 The cassette contains all seven audio-tracks from the Resting Bell-release and two bonus tracks.